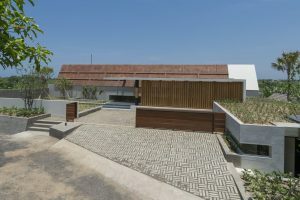 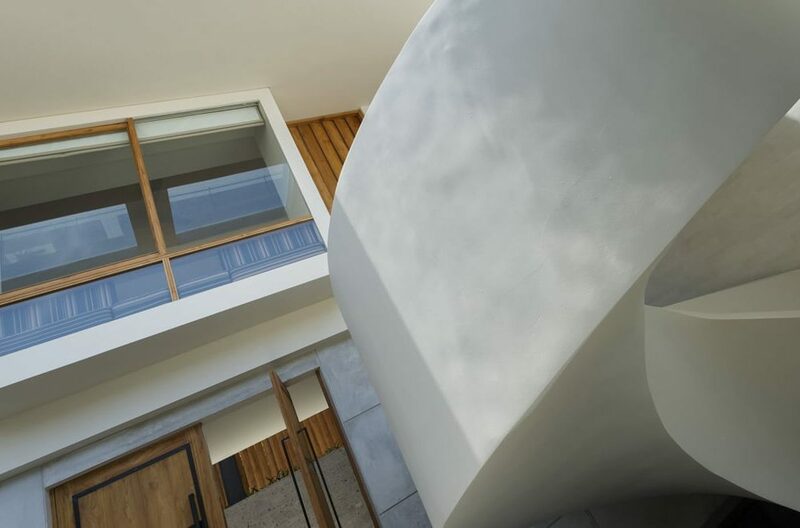 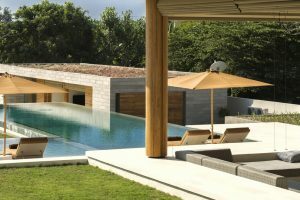 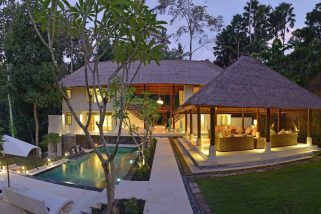 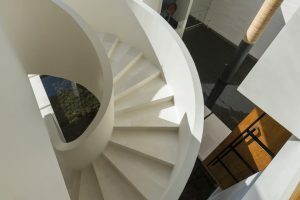 Villa Iman is an architectural creation of minimalist design surpasing what any may consider to be standard. 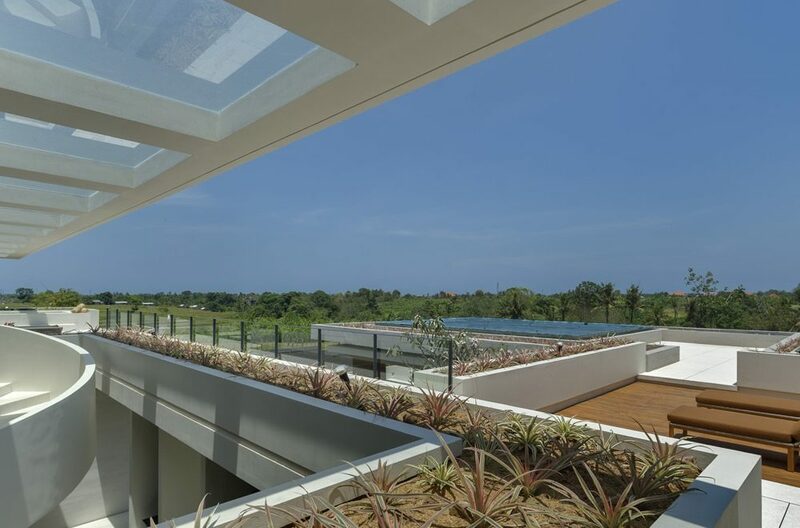 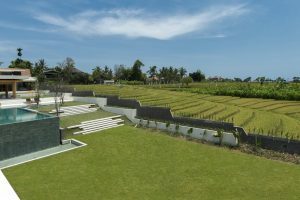 Scenic views across the adjacent rice paddies and 20mtr infinity pool are sublime. 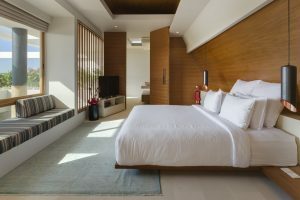 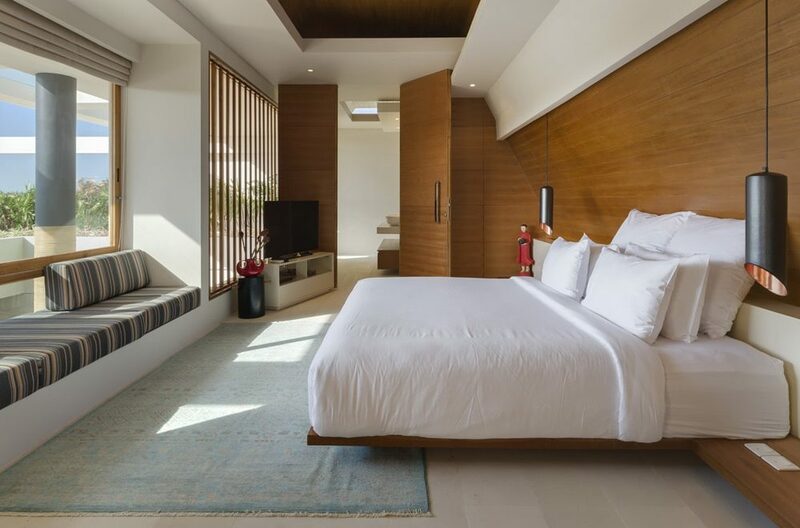 The villa’s five ensuite bedrooms are individually designed and furnished, and fitted with state-of-the-art technology to provide a luxurious modern ambiance. 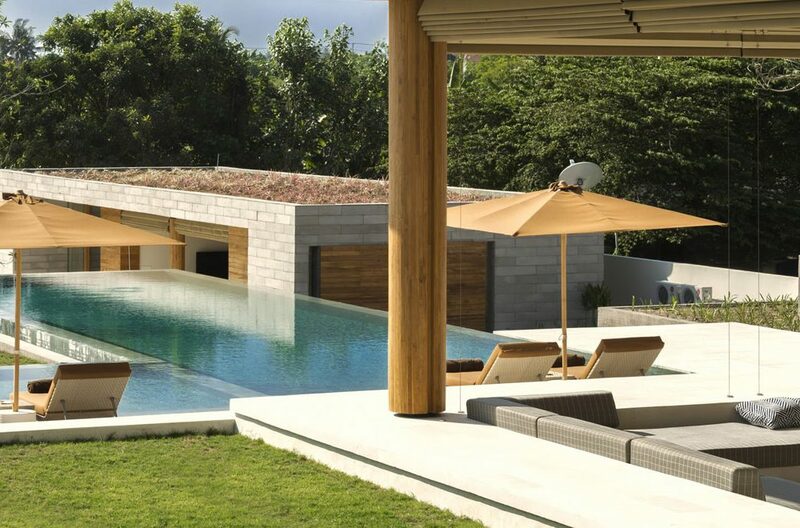 The central element of the villa is a stylish sunken outdoor living area designed for the perfect holiday. 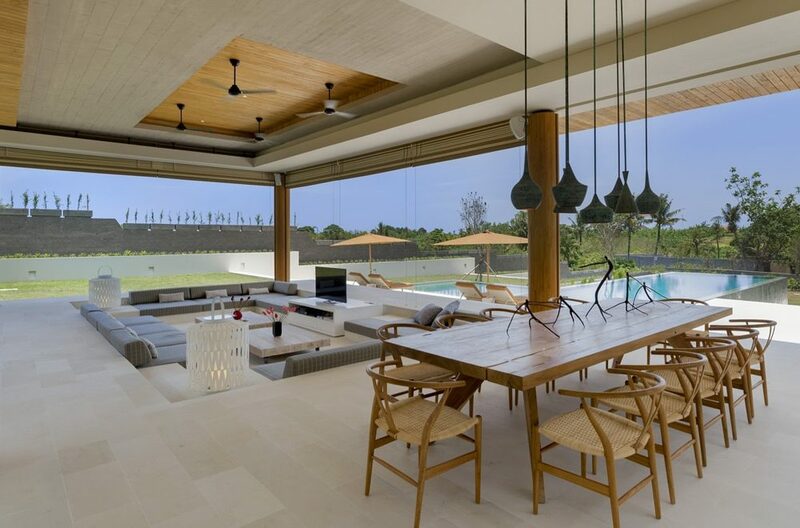 This living area overlooks the villa’s 20-metre pool by day and creates a spectacular bar and dining area for entertaining by night. 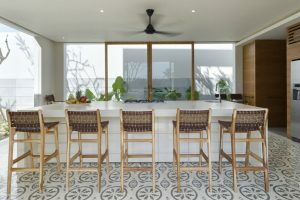 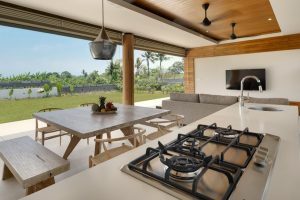 The open living/dining area has an ultra modern kitchen with large island bench and 5 custom made stools for guests to gather around. Entertainment includes TV, DVD, I-Pod dock and sound system. 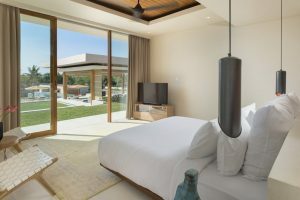 The villa’s five ensuite bedrooms are individually designed and furnished, and fitted with state-of-the-art technology to provide a luxurious modern ambiance. The Iman Villa is ideal for small groups and families, and its sweeping lawns, dramatic roof terrace and tropical vista also make it ideal for weddings and events. 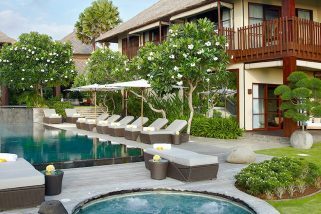 The villa is fully staffed by a highly trained team and take pride in offering attentive and discreet service and are there to ensure your holiday is enjoyable and relaxing. 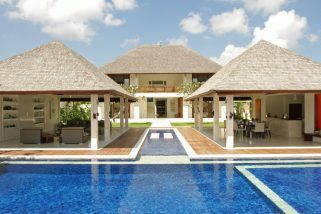 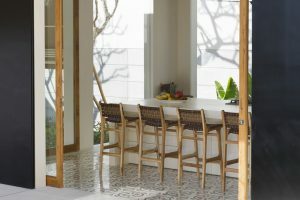 Located in Pererenan, Canggu, the villa is close to the Canggu club and only a 10min drive to Seminyak. Tanah Lot and the famous Nirwana Golf Club are also a short drive away. 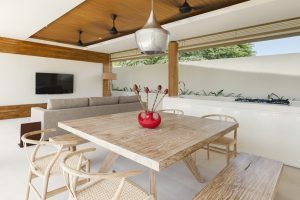 The Pennet river provides a dramatic backdrop of tropical jungle and complete privacy, taking guest’s away from the masses for pure relaxation. 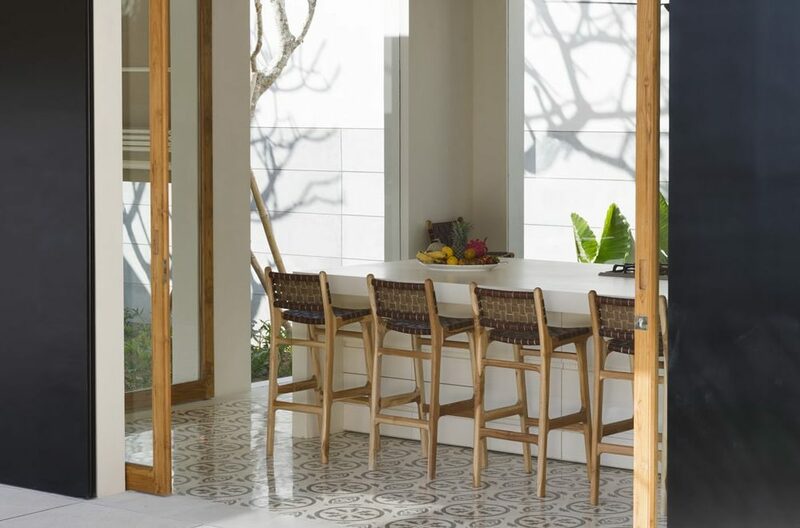 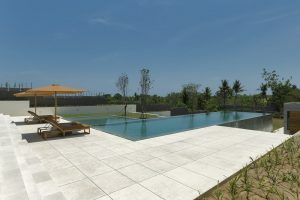 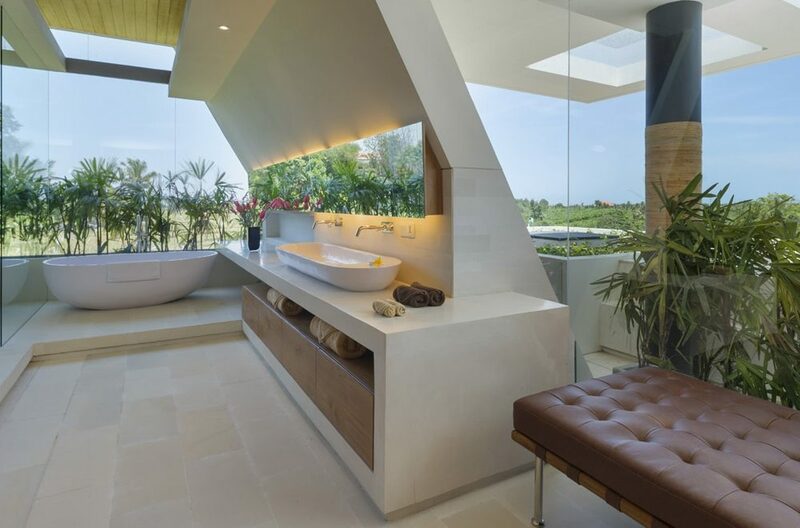 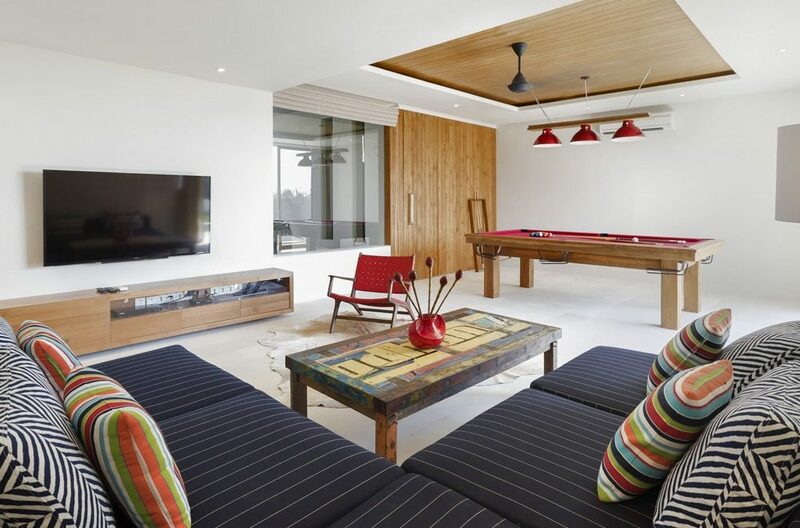 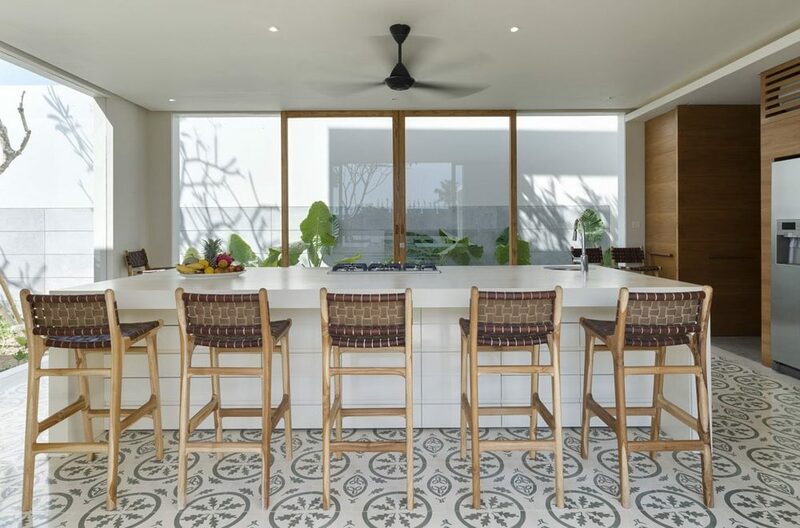 Villa Ambra is a beach front property located at Pantai Lima, Canggu. Located just 300mtrs from Echo Beach, Villa Asante provides luxury living over two levels in contemporary Balinese design.